If I had a dollar for every necklace that I've had to untangle, I'd be livin' the high life in Bali. Keeping your necklaces from getting tangled can save you loads of time and frustration. Heck, it can even save you money if you're one of those people that would rather throw away a necklace clump than spend the time trying to get the mess straightened out. I have a DIY solution for you. It involves three materials (five if you want to add some color) and is super easy. 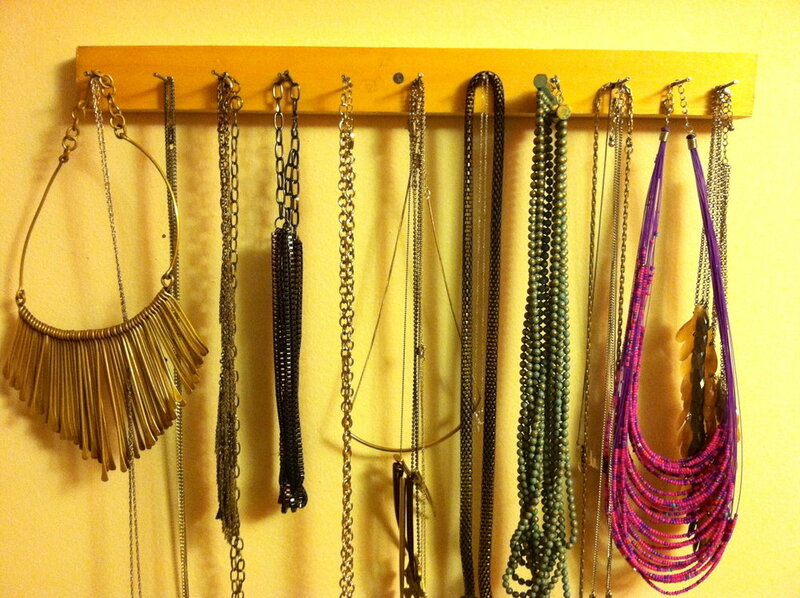 Behold, the Tidy Tova necklace holder! TADA! I told ya it was easy, didn't I? Tangles no more!